Stapleton Moms: Calling moms with kids aged 8-15. COFFEE, GOODIES, & A FREE RIDETIGHT! Calling moms with kids aged 8-15. 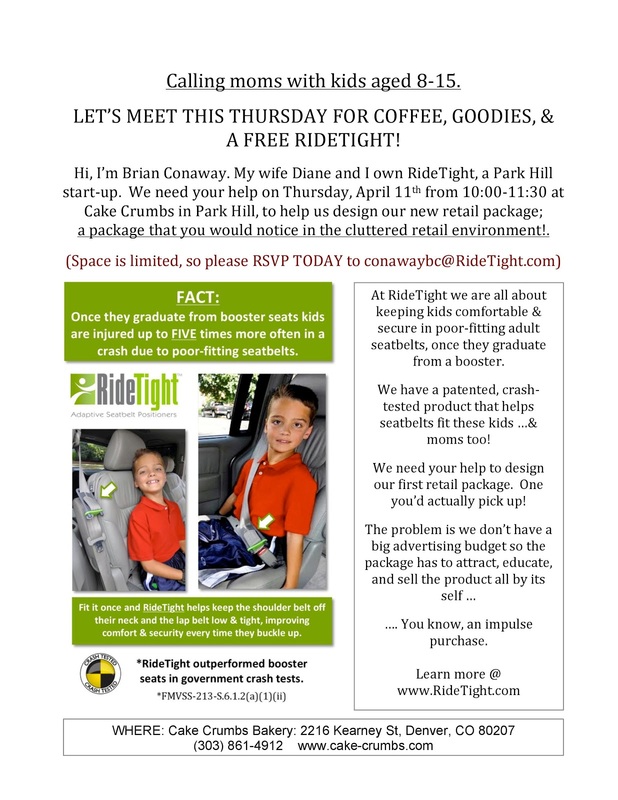 COFFEE, GOODIES, & A FREE RIDETIGHT! Calling moms with kids aged 8-15.
a package that you would notice in the cluttered retail environment!.